Designed for medium-sized to large-sized offices, the compact and environment-friendly Olivetti PG-L2040 offers a monthly duty cycle of 200,000 pages. 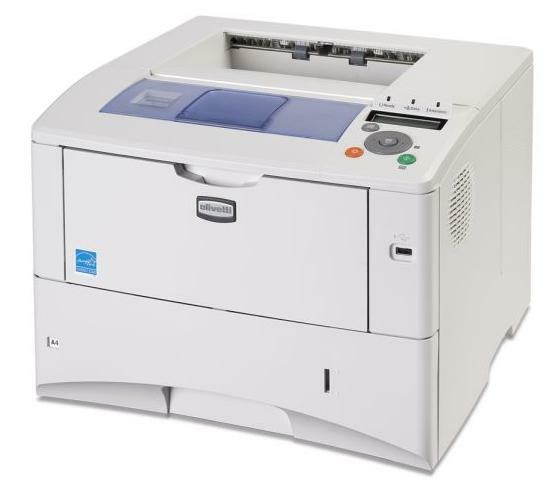 This monochrome laser printer has a maximum resolution of 1,200 x 1,200 dpi. Users can expect high-quality documents and greyscale images. The Olivetti PG-L2040 is integrated with 128 MB of memory but it can be expanded to 1,152 MB. Wi-Fi connectivity is not available. Measuring 382 x 394 x 320 m and weighing 16.7 kg, it is very easy to place the Olivetti PGL2040 inside the office. This model comes with a small control panel that has navigation and function buttons plus a small monochrome display. Print speed can go as fast as 40 ppm with the first page out in 10.5 seconds. For connectivity, the Olivetti PG-L2040 offers parallel and USB ports as well as Ethernet. The unit has a 500-sheet paper cassette and 100-sheet multi-purpose feeder. Aside from saving space, the small Olivetti PG-L2040 can also save resources as it has a built-in duplexer. Workgroups can easily share the Olivetti PG-L2040, thanks to the standard Ethernet connectivity. This printer is very quick and offers consistent output. It is also very easy to operate and setup. A USB host is offered to allow direct printing from USB/Pen drives. The display on the Olivetti PGL2040 is no match for those on other similar printers by other manufacturers. Other Printers now offer Wi-Fi connectivity to allow direct printing from mobiles and other wireless devices.